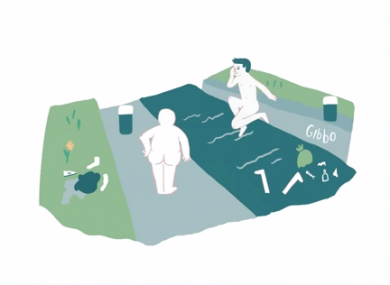 DUBLIN ANIMATOR AOIFE Dooley made this adorable short animation of a story told by a young Dubliner. 11-year-old Terriss tells the story of the time her da went swimming in the canal and hid his mate Git’s clothes. The result is terribly charming. Poor old Git. You can check out some more of Aoife’s work right here, if you wish. Email “Dotey little animation of a short story told by a Dublin kid”. Feedback on “Dotey little animation of a short story told by a Dublin kid”.